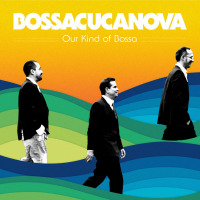 Our Kind of Bossa celebrates fifteen fun years of BossaCucaNova, one of Brazil's most adventurous contemporary ensembles (and was also timed to coincide with Brazil hosting the 2014 soccer World Cup). These eleven tracks fuse the electro-bossa nova for which the group is best known with samba and other dance rhythms from their homeland, and celebrate the BossaCucaNova core quartetMarcio Menescal (son of bossa nova pioneer Roberto Menescal) on bass, DJ Marcelinho DaLua, engineer/producer Alex Moreira doubling on keyboards, vocalist Cris Delanno and percussionist Dado Brother that's been together for more than a decade. "We conduct research on a daily basis," says Moreria. "DJ DaLua spends hours visiting second hand music shops around the world in search of old vinyl LPs. Every one of us makes suggestions, presenting rare MPB (Música Popular Brasileira) tracks and adding them to our playlist. During the recording sessions, we opt for the coolest ones." The best moments on Our Kind of Bossa are genuinely exquisite. "Adeus América" spills over with electronic chill and funk plus enough Brazilian star powerlead vocals by Wilson Simoninha, a trombone solo by Marlon Sette, guitarist Oscar Castro-Neves in the rhythm track and vocal ensemble Os Cariocas (which dates back to the early 1940s) washing everything in cool liquid soundto light up all of the band's native homeland. One could write an entire sidepiece about the opening sound of this opening tune, a delightful soundswirl of low-fi and futuristic technology, before it glides through a groove that reaches back to the classic bossa nova feel of the 1960s, when this music (and lots of other music) was bright and new and warm and full of possibilities. Background vocals wash over the singalong samba "Deixa Pra Lá" like languid warm sunshine bathing a Rio beach as alto saxophone trails Teresa Cristina's lead vocal like a happy dog prancing along the water's edge. "É Precisco Perdoar" (by Joao Gilberto) sambas upon Emilio Santiago's smooth, suave lead vocal and orchestration, conducted by Flávio Mendes, which shimmers with elegance and grace. "Waldomiro Pena" (Jorge Ben) rocks and rolls upon Simoninha's lead vocal, Leo Gandelman's funky horns and the rhythm guitar riff to the Rolling Stones' "Monkey Man" (the band describes it as "Stones + Tower of Power + Rio de Janiero") and fades with a wailing siren, like it's a party gone out of control. One of the best summertime party releases you'll ever spin, Our Kind of Bossa closes with "Tô Voltando," a bacchanal celebration of Brazil and its culture that crackles and pops with funky rhythm guitar and horns and sing-song chorus. "Somehow we keep doing it our own way, with our own beat, in a unique studio process and production that makes this band so special and timeless," Menescal explains. "We play and produce wholeheartedly and the albums are consistent." Although Fire is their fourth studio album, it also marks two milestone "firsts" in the history of jam masters Euforquestra: The band's first studio album since the live album Let Us In straddled their 2009 relocation from Iowa City, Iowa, to Fort Collins, Colorado; and their first studio album managed by an external producer, keyboardist Kyle Hollingsworth from The String Cheese Incident. "Kyle helped with pretty much every aspect of shaping songs for this record," explains group guitarist and vocalist Matt Tallman. "He edited lyrics and song forms; he helped with bass lines, guitar parts, saxophone melodies, etc. He really did a little bit of everything." Other guests include trumpeter Gabriel Mervine (from The Motet) and vocalists Elliot Martin (from John Brown's Body) and Kim Dawson. Like most of this set, its first two tunes"The Price is Right" and the title trackswivel-hip from Tallman's snaky rhythm guitar and pungent horns that blast their arrangements like a roundhouse gut punch. The rollicking instrumental "Momo Lolo" washes up from the rhythmic shores of New Orleans, full of snare rolls and cymbal splashes from drummer Craig Babineau and chili pepper solos by guitar and trumpet, all culminating in a joyous, tumultuous closing collective jam. More topically, "64-18" tells, in Little Feat funk and rock, the tale of the November 2012 vote that legalized recreational marijuana in Colorado: "They're passing it easy, they're pushing it through/ Now 64-18 is funding your schools." The hot, sharp and potent instrumental "Instant Coffee" is more than nicely titled; its horns sing the melody in unison, break apart into individual solos, and then come back together like a classic Tower of Power or Average White Band chart. 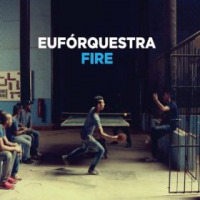 "Instant Coffee" spills over into "Road Funk," Eufórquestra's ode to all the funky stuff that seems to come with band life on the road, rumbling like a packed equipment truck along Tallman's rhythm guitar and a percussion breakdown so hot that you can nearly hear steam rising off the skins. "We want to spread this album as far as we possibly can and then go to all those places so we can perform for the people there," Tallman envisions. "This record feels like a milestone moment for the band and we want to take advantage of the positivity and momentum behind it." Leave the Door Open is more than evocative and expertly played music: It heralds the emerging age of global world jazz and the attendant possibilities with which it comes. Jazz and blues guitarist Joel Harrison (from Washington, DC) and sarode player Anupam Shobhakar (from Kolkata, India) first met to work on Harrison's 2010 Guggenheim Fellowship for composing a piece for jazz quintet, classical percussion and sarode. "I have had a lifelong interest in sarode but working with Anupam allowed me to grow exponentially in my understanding of his tradition," Harrison recalls. That first meeting has since blossomed into Multiplicity, which is what Harrison and Shobhakar call the visionary ensemble that they lead together. "We used that word because it represents our multiplicity of approaches," Harrison says. "Our collaboration is unique because of the many diverse cross-currents involved. Hopefully, this richness of background and materials evolves into a unity of purpose." Leave the Door Open is their collective debut. The track "Multiplicity" features wordless, chanted vocals (throat singing) from Chandrashekar Vase in freeform dialogue with Harrison's guitar, Shobhankar's sarode, Dan Weiss' tabla and Gary Versace's piano, all blending together to synthesize traditional Indian music with other instrumental music including jazz, especially its bombastic yet ethereal climax. This sprawling epic (nearly twelve minutes) blows up "east meets west" fusion into music that feels genuinely new. Their joint cover of Willie Dixon's "Spoonful," through which Harrison and Shobhankar explore "east meets west" fusion from the exact opposite direction, is no less brilliant. Harrison's guitar caresses this blues classic into a haunting acoustic meditation that would sound equally at home in an Arabian desert or the Mississippi delta, and when Shobhankar's sarode picks up the second verse, the sonic timbre changes but the blues feeling does not. The leaders' joint composition "Devil Mountain Blues" serves up the flipside to "Spoonful": A tandem guitar/sarode blues that first straddles but ultimately washes away regional, musical and cultural boundaries. David Binney's alto saxophone raises the jazz quotient in the serpentine "Madhuvanti," cutting hard and sharp like Art Pepper working out demons, and rises as softly as a morning sunrise to help open the beautiful and delicate opener, "The Translator." "Working on this project allowed me to learn in much deeper ways what jazz music is, and how it connects to who I am," Shobhakar says. "I am truly thrilled to have learned so much about how to work with a jazz rhythm section. Indian improvisation and jazz improvisation are very different in a lot of ways, and developing a rapport with Joel and his peers was at the heart of this project." "As principles of Indian music slowly work their way into the jazz lexicon, alliances such as ours are becoming less rare. It's a fascinating journey to be taking part in," says Harrison. 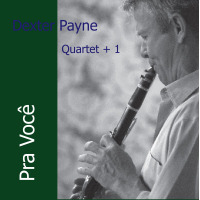 Pra Vocé is clarinetist Dexter Payne's homage to the late Thiago de Mello, the composer, percussionist and multi-instrumentalist whose life and music reflected the panoramic beauty of his native Brazil and with whom Payne recorded several beautifully reflective pieces of music, including and especially their self-produced 2007 duet Another Feeling (2006, Dexofon). Take time to stroll around and enjoy the beauty of its pathways and gardens, and sit in its contemplative shade, and you'll quickly learn that the quietly brilliant Pra Vocé more than honors de Melloit seems to warmly embody his very musical breath. 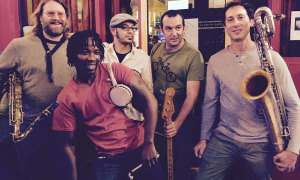 The uniquely beautiful blend of Brazilian, jazz (especially New Orleans), African and other instrumental musical styles on Pra Vocé also illustrates Payne's expansive background: He's studied Balkan dance music in Istanbul, spent a decade playing throughout Africa (including Ghana, Nigeria, Senegal and Uganda), which culminated in his 2008 appointment as Director of the Afropop Ensemble at Naropa University in Boulder, Colorado, and more recently toured the US and Canada with the The Lionel Young Band, the 2011 International Blues Challenge Champion. Payne is clearly the leader but every musician's voiceDave Willey on accordion, Bill Kopper on six- and seven-string guitar and Victor Mestas Perez from Venezuela on pianosings through the liquid rhythms poured out on drums and pandeiro by Raoul Rossiter (who plays with Kopper in the band Ginga). Rossiter keeps Pra Vocé flowing with gentle but exquisite rhythms, rippling into the spaces between the piano and guitar in the live recordings "Sampa" and "Assanhado" and warm, quicksilver closing homage to the Brazilian state "Lembrei do Ceará." In a performance as brilliantly quiet as Dom Um Romao's on the legendary Francis Albert Sinatra/Antonio Carlos Jobim (1967, Reprise), Rossiter places every beat in just the right place. This live version of "No Wolf at the Door," which first appeared on Another Feeling, paints Jobim's "Meditation" in guitar, piano and accordion shades, with Pérez and Payne so attuned that their piano and clarinet seem to complete each other's phrases. Like twin dawns, the two opening selections sound particularly beautiful early in the day. Kopper opens "Chorinho pra Vocé" in a cascading acoustic guitar waterfall, into which Payne's clarinet expertly yet playfully dives like a dolphin. In the choro standard "Alma Brasileira," which translates to "Brazilian soul," Payne's singing clarinet and its deft interplay with the quicksilver rhythm section on which it dances lends the spirit of New Orleans improvisational jazz to this classic Brazilian piece. Composer and violin player Nistha Raj has studied Hindustani (North Indian) and Western classical music for most of her life. She was raised in Texas and graduated with honors from music studies at the University of Houston, and then studied music for three years in India through a scholarship with the Indian Council for Cultural Relations. "This album is the first stop on my musical journey," she says of her Exit 1 debut. "That's why I called it Exit 1. Music is and always has been a journey for me and sometimes I don't know where the music will lead me but that excites me. This is my first album and it documents all the different collaborations so far on my journey." So why not bite off the ambitious journey "From China to India" on your recorded debut? Based on a Hindustani raga and traditional Tibetan folk song, and jointly composed and arranged by Raj with Chinese violinist Anqi Xue, "From China to India" unites these cultures with identical twin violins. It's simultaneously curious and refreshing how their violins, when tabla stops pummeling thunder beneath them, sound like they're dancing an old-time reel from the Appalachian mountains. Raj dives into "The River" no less ambitiously: To illustrate the similarities and differences between ragas in the Hindustani (North Indian) and Carnatic (South Indian) traditions, with highlights from an Indian clay-headed double drum and a Latin cajón that paints in a flamenco tint. Raj stays much closer to home for "Ek Pyar Ka Nagna Hai (Melody of Love)," a famous Bollywood song from the 1972 film Shor she covers to honor her mother. It opens in dignified beauty, with acoustic piano adorning her elegiac violin like sunrise arching over a stately castle, before the fuller ensemble enters to bear the melody aloft. It sounds crazy, but this arrangement cries out to be performed by The Pat Metheny Group with Lyle Mays. "I wanted something that was a tribute to her," Raj reflects. "She didn't play an instrument but she was my first teacher: She introduced me to such good music." In "Jayanthi," Raj's violin swaps then engages in passionate lines with co-composer Aakash Mittal's saxophone like a long, sticky kiss, suspended in time by its circular melody and rhythm. "Aakash is a jazz musician and there's a lot of similarity between that and Indian classical music, a lot of improvisation based on a melody within a rhythmic cycle, although there are rules in classical music, you have to stay within the notes of the raga. My solos are very traditional and his embody that jazz contrast. So we come together but stay apart." 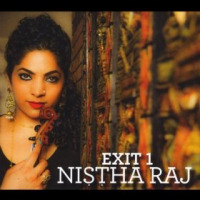 The prowess and passion of Exit 1's two closing tunes, the solo violin meditations "Gravity (Raga Charukeshi Alap)" and "Alibi (Raga Charukeshi Jor/Jhala)," seem to boil over directly from Raj's mind and heart. "It's so important to me that I play this music," she explains. "It's what resonates most deeply within me." Detroit-based bassist Dave Sharp and the Secret 7 ensemble he leads have found acclaim for their expansive grasp of world music, including and especially jazz: Sharp has toured jazz clubs throughout Japan and studied jazz theory and music at the New College of California with bassist Herbie Lewis, who nailed down rock-solid rhythmic bottoms for soul-jazz hipsters Les McCann and Julian "Cannonball" Adderley, but has also toured with rock iconoclasts The Melvins. 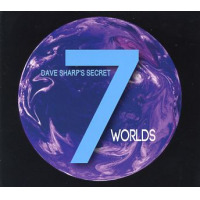 Sharp began this exploration of music's various Worlds with saxophonist Chris Kaercher, who not only shares the bassist's interest in music from Africa, India, the Middle East and New Orleans but also shares Sharp's Detroit heritage from working with Motown legends The Four Topsand The Temptations. 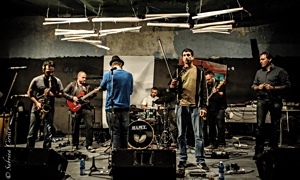 By the time they finished, their explorations included collaborations with vocalists from Canada (Jonita Gandhi), India (Parthiv Gohil) and Senegal (Cheikh Lo, who also plays drums), plus two of Detroit's top instrumentalists, pianist Gary Schunk and Walter White on flugelhorn and trumpet even, from Les Claypool's Frog Brigade, guitarist Eenor. Sharp gets this party started with "Sherehe," abloom with African percussion, beats and rhythms that wash over your ears like warm, soft sunshine, while Kaercher's tenor sax solo rolls in and out from the island curves of Sonny Rollins' classic "St. Thomas." Gohil's spectral vocal leads the improvised pulse-free alap (introduction to an Indian classical raga) "Return," two groaning minutes couched in dark, menacing electronic atmospherics that introduce the next tune: The majestic "Mystery Blues, which Sharp describes, with eye-opening accuracy, as "A Charles Mingus/Nusrat Fateh Ali Khan influenced minor blues featuring two Detroit legends, Gary Schunk and GayeLynne McKinney (drums)." Even if Gohil's vocal sounds more like traditional verse, it's no less mysterious or evocative; Schunk's muscular yet melodic acoustic piano honors the legacy of Detroit pianists such as Tommy Flanagan and Hank Jones; and as Sharp begins to pound out a more insistently hypnotic throb about two-thirds in, Gohil's vocal completely blows their "Blues" apart. Sharp's bass in "Sunrise" so easily keeps up with Igor Houwat's snakecharmer oud that it seems their notes tether them together. "Sunrise" blazes into an "Eastern Flame," which rises like the sun from the previous piece and like the sun burns hotter and brighter as the music raises its voice higher and higher. "Nu Africa," which comes in various radio and DJ versions, slips along a New Orleans funk beat from the rhythm section and electric organ, the flowing liquid rhythm sound of The Meters cut by sharp horn lines, lyrics that keep it in an African groove, and White's spacewalking trumpet that burns across the heavens. Tracks: Adeus América; Deixa a Menina; Balança (Não Pode Parar! ); A Pedida É Samba; É Preciso Perdoar; Segure Tudo; Ficar; Waldomiro Pena; Deixa Pra Lá; Rio de Inspiracão; Tô Voltando. Personnel: José Arimatéia: trumpet; Marcio Bahia: drums; Dado Brother: chorus, drums, percussion, tamborim; Os Cariocas: vocals; Zé Carlos: guitar; Oscar Castro-Neves: acoustic guitar; Teresa Cristina: vocals; Martinho da Vila: vocals; José Alves Da Silva: violin; Cris Delanno: vocals; Laudir DeOliveira: congas; DJ Dalua: beats, reco-reco, scratching, sounds; Donatinho: keyboards; Eliane Farias: vocals; David Feldman: piano; Glauco Fernandes: violin; Pedro Frederico: violin; Leo Gandelman: flute, baritone saxophone; Daniel Guedes: violin; Carlos Eduardo Hack: violin; Dirceu Leite: clarinet; Fernando Magalhães: guitar; Marcela Mangabeira: vocals; Flavio Mende: vocals, guitar, string arrangement and conductor; Thais Mendes: viola; Márcio Menescal: Fender jazz bass, guitar, mini harp, synthesizer bass; Roberto Menescal: bass arrangements, guitars; Monobloco: vocals, percussion; Alex Moreira: clavinet, Fender Rhodes, guitar, keyboards, moog synthesizer, piano, sampling, vibraphone; Jaques Morelenbaum: cello; Moska: vocals; Leo Ortiz: violin; Jesuina Passaroto: viola; Iura Ranevsky: cello, registrant; Maria Rita: vocals; Rene Rossano: guitar; Claudia Grosso Couto Salles: cello; Emilio Santiago: vocals; Pretinho Da Serrinha Cavaquinho: percussion; Marlon Sette: muted trombone, trombone; Rodrigo Sha: vocals, flute, baritone saxophone; Sidinho: mouth harp, percussion; Wilson Simoninha: vocals; Elza Soares: vocals; Tia Surica: vocals; Marcos Suzano: percussion; Tiago Torres: drums; Guto Wirtti: acoustic bass. Tracks: The Price is Right; Fire; Instant Coffee; Road Funk; Moment #1; Solutions; Wasted; Free; Moment #2; Take Me Dancing; Momo Lolo; 64-18; Moment #3; All the Light I Need. 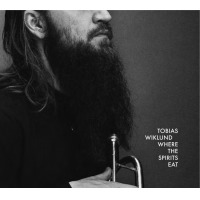 Personnel: Craig Babineau: drums; Adam Grosso: bass; Ryan Jeter: saxophone; Mike Tallman: guitars, vocals; Matt Wright: keyboards, vocals; Austin Zaletel: saxophone, vocals; Kim Dawson: vocals; Kyle Hollingsworth: keyboards; Elliot Martin: vocals; Gabriel Mervine: trumpet; Scott Parker Mast: production. Tracks: The Translator; Leave the Door Open; Madhuvanti; Multiplicity; Spoonful; Kemme Avul; Turning World; Devil Mountain Blues; Deep River. Personnel: Joel Harrison: guitars; Anupam Shobhakar: sarode; Dave Binney: alto saxophone; Gary Versace: piano, Hammond B-3 organ, accordion; Hans Glawischnig: double bass; Dan Weiss: drums, tabla; Todd Isler: percussion; Bonnie Chakraborty: vocals; Chandrashekar Vase: vocals. 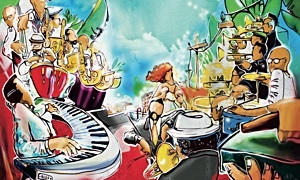 Tracks: Alma Brasileira; Chorinho pra Vocé; No Wolf at the Door; Sampa; Doce de Coco; Playground; Assanhado; Conversa de Botequim; Lembrei do Ceará. Personnel: Dexter Payne: clarinet; Dave Willey: accordion; Bill Kopper: six-string guitar, seven-string guitar; Victor Mestas Pérez: piano; Raoul Rossiter: drums, pandeiro. Tracks: Shivranjani; Jayanthi; Ek Pyar Ka Nagna Hai; The River; Bhariravi Beatbox; From China to India; Adje Jano; Gravity (Raga Charukeshi Alap); Alibi (Raga Charukeshi Jor/Jhala). Personnel: Nistha Raj: violin, harmonium; Xue Anqi: violin; Christylez Bacon: human beatbox, spoons, tambourine; Rob Coltun: guitar; Duff Davis: guitar; Ethan Foote: double bass; Sriram Gopal: drums, percussion; Behzad Habibzai: cajón; Aakash Mittal: alto saxophone; Devapriya "Debu" Nayak: tabla; Ajay Ravichandran: mrindangam; Geoff Rohrbach: piano; The Fourth Stream: jazz trio; Rangashree Varadarajan: violin; Wytold: cello. Tracks: Sherehe; Nu Africa (The D Mix); Return; Mystery Blues; Sunrise; Eastern Flame; Desert Sky; Kalinjar; Rain Raga; Dakar Detroit; Nu Africa (The D Mix Radio Edit); Nu Africa (Nola Mix); Nu Africa (Nola Mix Radio Edit). Personnel: Jay Antani: bells, ghatam, shells, tabla; Atmaram Chaitanya: tamboura; Indrajit Roy Chowdhury: sitar; Chuck Mauk: drums; John Churchville: tabla; Chris Codish: Hammond B3; Mehdi Darvishi: daf; Eenor: guitar, baritone guitar; Andre Frappier: guitar; Jonita Gandhi: vocals; Parthiv Gohil: vocals; Prashanth Gururaja: violin; Igor Houwat: oud; Pathe Jassi: nylon string guitar; Chris Kaercher: flute; alto, baritone, soprano and tenor saxophone; Elden Kelly: electric guitar, glissentar; Carolyn Koebel: bells, cajon, congas, doumbek, percussion, shaker; Cheikh Lô: drums, vocals; Samba NDokh MBaye: tama; Gayelynne McKinney: drums; Duncan McMillan: Hammond B3; Evan Perri: rhythm guitar; Gary Schunk: piano; Dave Sharp: electric bass, upright bass, fretless banjo, fretless bass, acoustic guitar, Hammond B3, ride cymbal; Walter White: flugelhorn, trumpet; Eric Wilhelm: drums.